For more than six years, Johnny Flores brought us joy and laughter and shared his stunning singing voice as our warehouse coordinator. He made everyone who entered our big blue door – clients, volunteers and staff – feel welcomed. Johnny is looking forward to spending more time with his beloved chihuahua, Frank. Additionally, for more than 11 years, Peggy Bailey has been the heart and soul of the Ballard Food Bank. As our assistant director, Peggy created a food bank where healthy food and big hearts foster a community of neighbors helping neighbors. Peggy’s leadership and passion for serving others have grown Ballard Food Bank into a community hub that makes a positive impact on the neighborhoods we serve. Peggy is semi-retiring and looks forward to traveling. While we may have lost two amazing food justice advocates, we’re excited to announce new additions to our Ballard Food Bank family. Kathleen Murphy joins us as assistant director and Lilly Glover will be our food bank manager. We look forward to telling you more about Kathleen and Lilly in the coming months. In the meantime, join us in celebrating the amazing work of Johnny and Peggy. 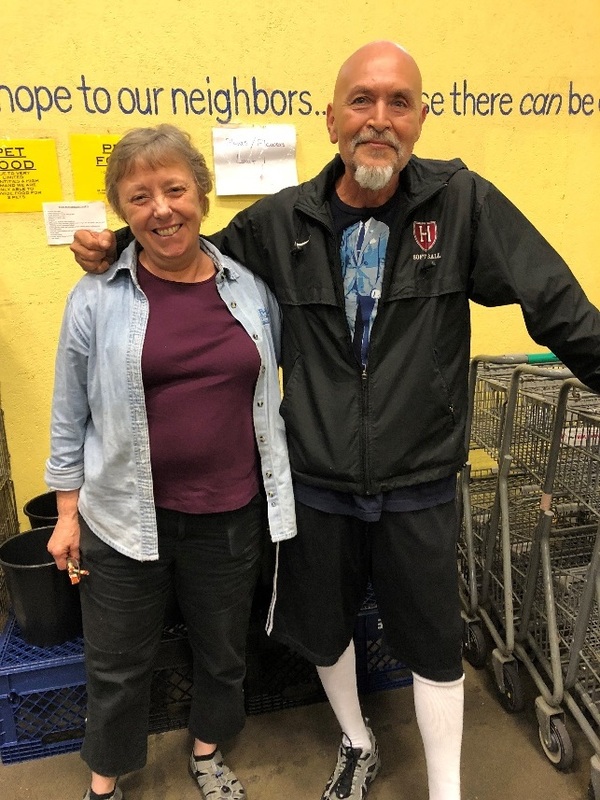 Thank you, Johnny and Peggy, for all you have done for Ballard Food Bank and our neighbors! We will miss you!